Alt Country purveyor Jim White is probably best known, at least on these shores, as the host of the BBC documentary 'Searching for the Wrong-Eyed Jesus' which saw him exploring the American South. 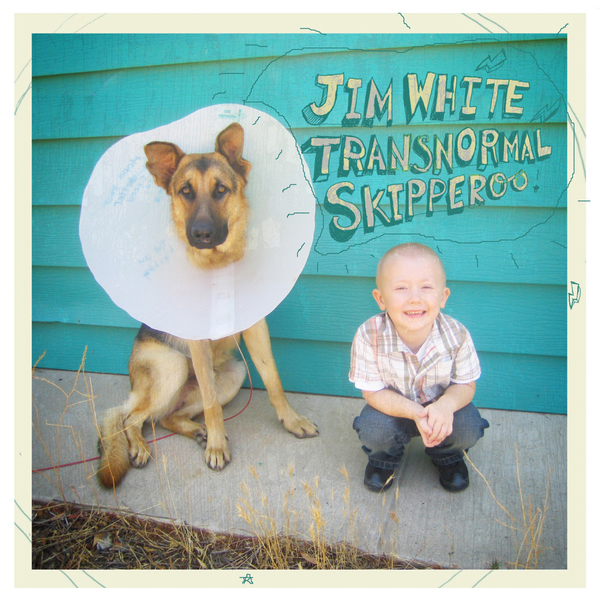 'Transnormal Skiperoo' is his latest album and is his fourth 'proper' full-length and offers a fabulous picture of his musical loves. The title comes from "a strange new feeling I've been experiencing after years of feeling lost and alone and cursed. when I find myself dancing around in my back yard for no particular reason other than it feels good to be alive" - so you can probably imagine the kind of influences that preside over proceedings. It's surprisingly upbeat, but in a deeply melancholy manner, full of emotion and resonance but never moany or overly indulgent. Take 'Jailbird' for example, a haunting low-slung track which balances on the tight percussion and White's distinctive vocals; the mood is quite obviously melancholy, but it never feels that way. 'Transnormal Skiperoo' is no different with its touching reflections on life, the universe and everything. Fans of Calexico, Iron and Wine and their contemporaries should check this without delay, White might not have the profile or status of some of the 'cooler' names in the genre but he certainly has the songs. Lovely.